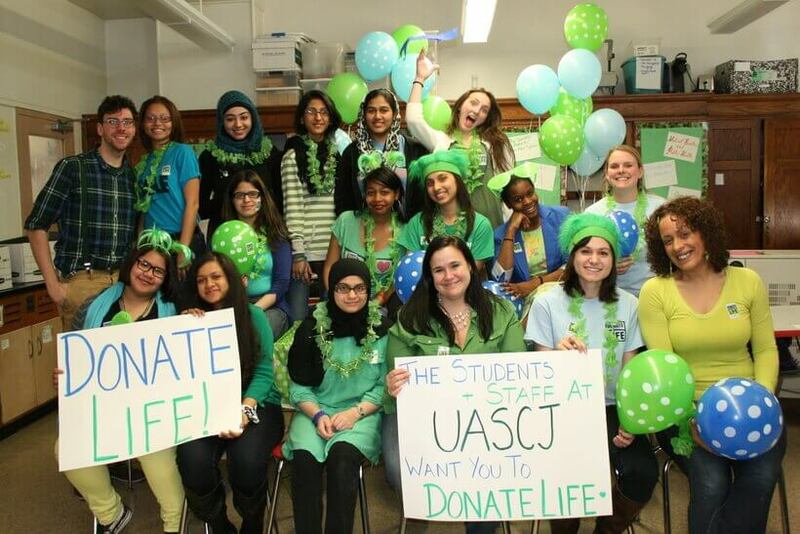 Are you interested in learning more about donation and transplantation and how to educate others about the gift of life? You’ve come to the right place! Below are compiled resources that you can use both inside and outside of the classroom to help you educate and register others! These are basic learning tools that give an overview of donation and transplantation. Most are appropriate for audiences middle school age and older. This video, created by Health Resources & Services Administration (HRSA) of the U.S. Department of Health and Human Services, explains the transplant waiting list, how someone becomes a donor, the process of matching organs and signing up to share the gift of life. This video is also available in Spanish here. Learn more about each organ and most common tissues used in transplantation with this interactive tool. This is an organ, eye and tissue donation initiative designed to support high school teachers and engage young audiences. Its design, interactive games, downloadable goodies, social media channels, and real-life stories appeal to students, who can readily register as donors in their state while on the site. There is also an “Educators” section where teachers can access a suite of videos, lesson plans, reading exercises, and activities in order to plan a lesson, unit or student project on donation. This website serves primarily as a resource for those going through the donation and transplantation process as a recipient or living donor. It contains information on what to expect before and after a transplant, as well as what you should know when making the decision to be a living donor. Allograft Possibilities is AlloSource’s educational website, providing information about tissue donation and transplantation, promoting donation, raising awareness for tissue transplantation and honoring donor families. The site highlights tissue recipient stories as a way to teach and better explain the amazing healing potential of tissue transplants. The following organizations are related to donation and transplantation. Their websites contain more helpful resources for your educational needs. UNITED NETWORK FOR ORGAN SHARING (UNOS) – UNOS is the government-contracted nonprofit that manages the United State’s organ system, including the waiting list and the distribution of donated organs. ORGAN PROCUREMENT AND TRANSPLANTATION NETWORK (OPTN) – UNOS currently serves as the OPTN, linking professionals with the donation and transplantation system. All of the current national waiting list, donation and transplantation data (sorted by state, organ, donor type, etc.) is housed this website. HEALTH RESOURCES AND SERVICES ADMINISTRATION (HRSA) & ORGANDONOR.GOV – In the United States, the Health Resources and Services Administration of the U.S. Department of Health and Human Services has oversight of the OPTN (see above). OrganDonor.gov is the official U.S. Government website for organ donation and transplantation, managed by HRSA. SCIENTIFIC REGISTRY OF TRANSPLANT RECIPIENTS (SRTR) – This organization is responsible for research and analysis of transplantation outcome data. This website contains high-level reports on national transplant data, transplantation programs and organ procurement organizations. Similar to how the current donor registries are setup by state, so are donation and transplantation education mandates and curriculums. Below are links to a few state resources. If your state is not listed above, please refer to our list of state contacts here to obtain more information locally.